EVELYN ELAINE WRIGHT. 69, Passed away on Thursday, October 12, with her loving family by her side. She was born October 23, 1947, in Nashville, where she lived her whole life. She worked at Tennessee Tufting as a production worker making rugs. She was married to James Wright, who everyone knew as “Jimmy”, for 30 years. She loved to watch the hummingbirds that flew were around her house. She also enjoyed playing games on her computer, playing cards, coloring, crafting, and shopping. She is survived by her two sons; Joseph (Jennifer) and David Aldridge, and her step-children Nannette and James. She is also survived by several grandchildren. A celebration of Evelyn’s life will be held at 12:00 noon, on Monday, October 16, 2017, at West Harpeth Funeral Home, with burial at Harpeth Hills Memory Gardens. 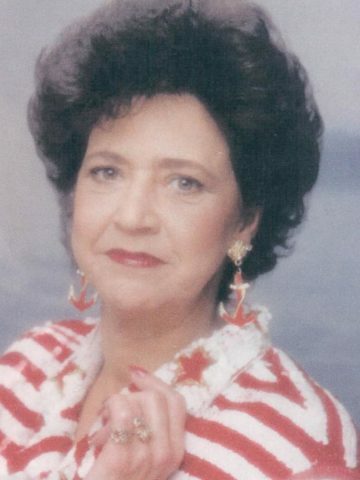 Her family and friends will meet to share their memories of her from 9:00 am until the time of the service.